Last October I attended the Linguamatics Text Mining Summit in New Castle, NH. I attended many interesting presentations and learned how to index electronic health records. 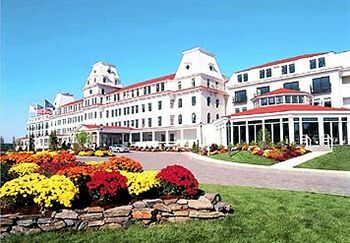 In early October my colleague Emily Couvillon and I attended the Linguamatics Text Mining Summit in scenic New Castle, NH. We took workshops on how to use the Linguamatics I2E software more effectively and attended many interesting presentations by other Linguamatics users. We also saw a demo of the new I2E interface which is currently in development and will be more user-friendly. 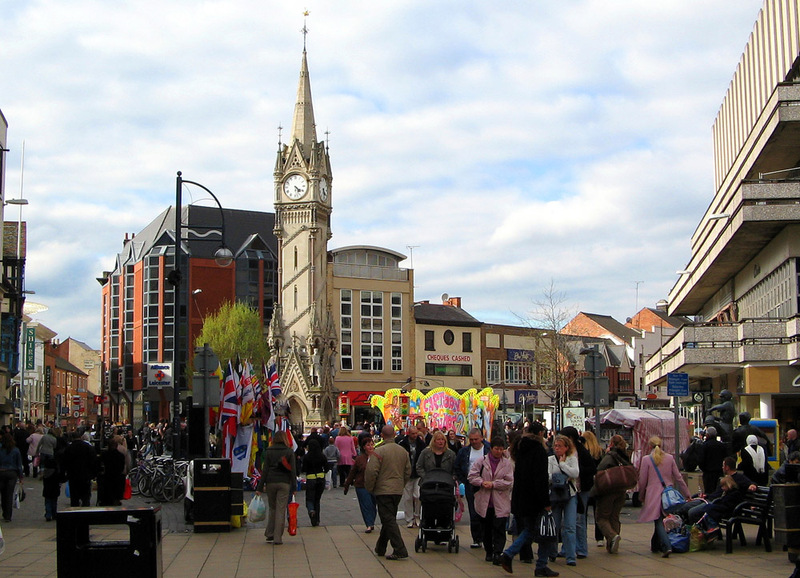 I recently attended the 9th International Clinical Librarian Conference (ICLC) in Leicester, England where I heard some interesting presentations and presented my paper Reducing diagnostic error by using DDx support on patient rounds. 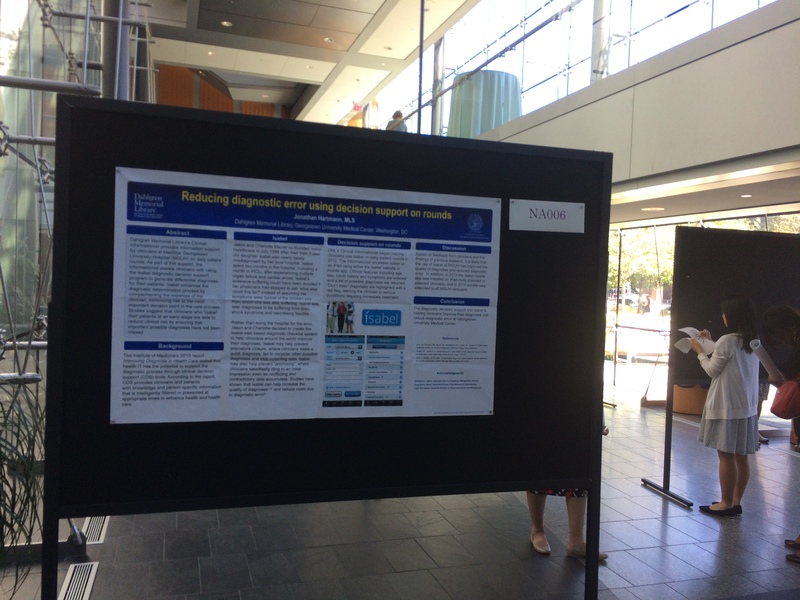 In my talk I described how diagnostic error is one of the most important safety problems in healthcare today. 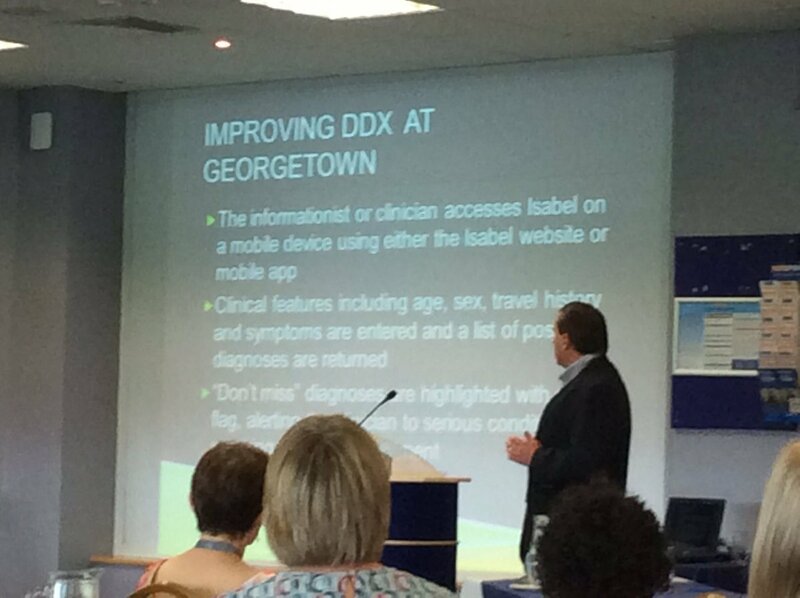 I also explained how differential diagnosis (DDx) generators have the potential to reduce error by augmenting and influencing the diagnostic reasoning process of clinicians, and that clinical librarians and informationists can increase awareness of DDx generators and help clinicians utilize them to improve the quality of their diagnoses. We recently expanded our clinical rounding service by adding Emily Couvillon to the DML team as a Clinical Informationist. Her responsibilities include attending daily rounds, assisting with data management services, teaching information literacy classes and constructing searches for systematic reviews. Her research interests include developing digital marketing strategies for libraries and understanding consumer health information needs of vulnerable populations. Emily received her BA in English from Tulane University and her Masters of Science in Information Studies from the University of Texas. Previously she was Liaison Librarian at the Texas Medical Center Library. In her spare time, Emily enjoys taking her dog for runs along DC’s trails, traveling and studying languages. She is passionate about connecting people with information and she is excited to have this opportunity to support evidence-based practice for the GUMC community. 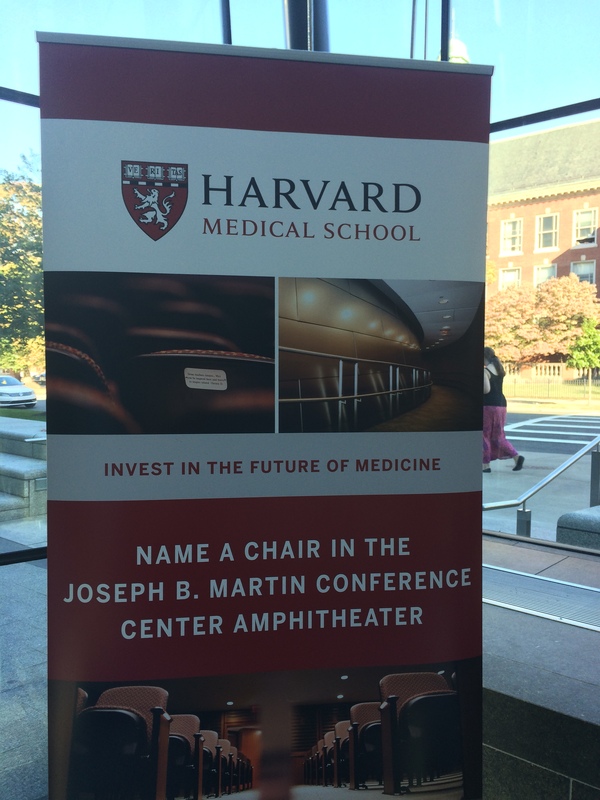 Everywhere you look in academic medicine today major initiatives are underway that require fundamental changes in the way people work together. Effective teamwork takes a lot more than a group of individuals skillfully carrying out their specialized tasks. It requires interdependence: the ability of the team members to develop a system perspective, to understand how their respective work processes intersect, and to be responsive to each others changing needs and circumstances. What’s more, they need to be able to do this in real time, under conditions of performance pressure and uncertainty. Brandeis University professor Jody Hoffer Gittell developed a theory of interdependent functioning called Relational Coordination (RC). This body of research has been used to demonstrate that teams or organizations with a high level of RC achieve higher quality, work more efficiently, better satisfy their customers/patients, and enjoy greater worker satisfaction and resilience. RC is now being used extensively to improve teamwork and performance worldwide in healthcare settings. I hope to apply what I learn at the workshop to my work with the diverse group of healthcare professionals at MedStar Georgetown University Hospital. 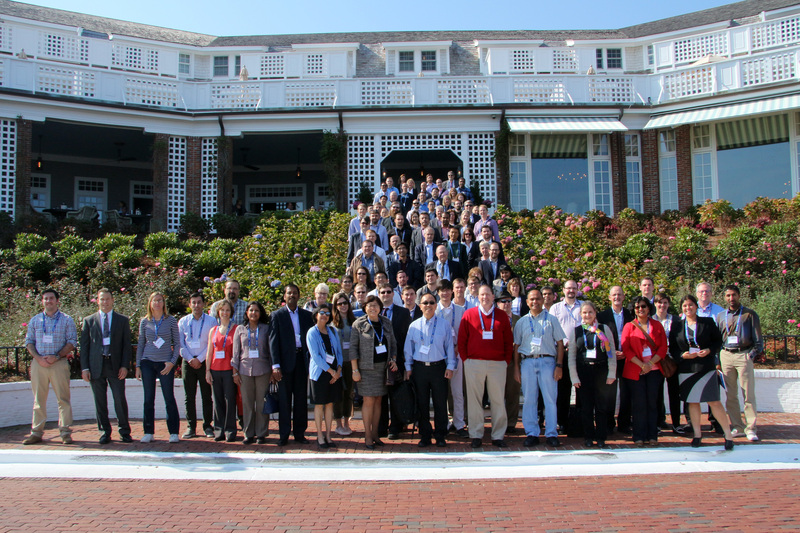 Last month I attended the Linguamatics Text Mining Summit at the Chatham Bars Inn on Cape Cod. I took a useful workshop on text mining for healthcare and participated in a roundtable on mining full text. I also heard many interesting speakers, and was particularly interested in the talks given by Stuart Murray of Agios Pharmaceuticals and Rick Lewis of GlaxoSmithKline regarding drug safety.